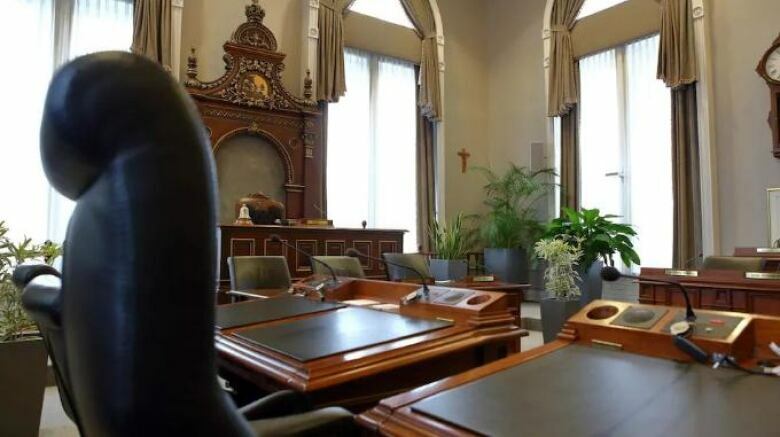 Less than a week after the CAQ government said it would remove the crucifix that's been hanging above the Speaker’s chair in the National Assembly for eight decades, two major Quebec cities have announced they won’t be following suit. Less than a week after the CAQ government said once its religious neutrality legislation, Bill 21, passes, it will remove the crucifix that has hung above the Speaker's chair in the National Assembly for more than eight decades, two major Quebec municipalities have announced they will not be following suit. Quebec City and Sherbrooke have both announced the crucifix on the wall of their respective city council chambers will stay put — unlike in Montreal, where Mayor Valérie Plante announced last month the crucifix in that city's chamber would be removed. 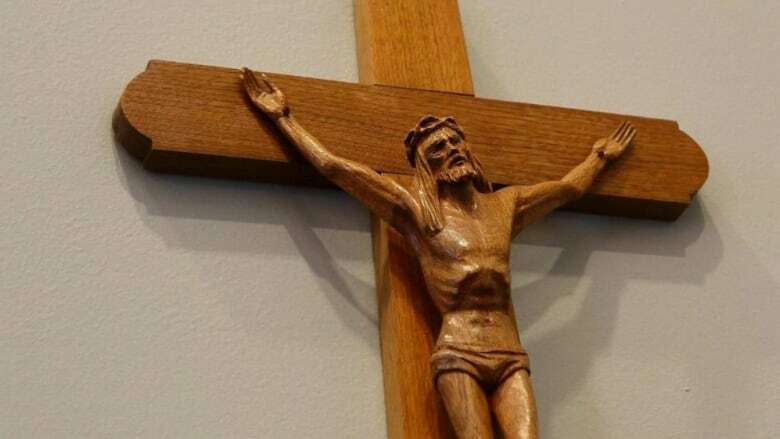 In Quebec City, the debate over whether the crucifix should be removed hasn't come up in the council chambers, the vice-chair of the executive committee, Coun. RémyNormand, said last month. Mayor Régis Labeaume said he's not fully opposed to moving the crucifix, but that for now, it's staying put. Should the crucifix in Quebec's National Assembly come down? Labeaume said the crucifix in Quebec City Hall is a heritage object, and he's against the idea of erasing all religious symbols in the name of secularism. "I don't like it when people trivialize the past," Labeaume said Thursday. "Believe me, I'm secular. I don't necessarily practise religion." Meanwhile, in Sherbrooke, council voted Monday night for the crucifix to remain on the wall of city council chambers, as well as borough council chambers. Ten councillors voted to keep the crucifix in the room, and five against. Coun. Annie Godbout said the question was met with passionate debate. "I would have preferred to take the time to see how the debate will unfold in Quebec," Godbout said. "I'm extremely disappointed with how we went about this." Sherbrooke Mayor Steve Lussier said he sees the crucifix as a symbol of the past. "If it stays, for me, it doesn't change anything," Lussier said. In Montreal, Mayor Valérie Plante said the decision to remove the crucifix was a recognition of the role of secularism in a democratic institution. The crucifix is an important part of Montreal's heritage and history, but as a symbol, it does not reflect the modern reality of secularism in democratic institutions, Plante said. The cross will be placed in a special museum space at City Hall that will be accessible to all Montrealers, she said. The crucifix that's hung above the Speaker's chair in the National Assembly since 1936 will also find a new home elsewhere in the government building, in the wake of the motion promising to remove it that passed on March 28 — the same day the controversial religious symbols bill was tabled. The motion passed easily, although just last fall, a newly elected Premier François Legault had said the crucifix was there to stay — describing it not as a religious symbol but a historical one. Legault said the CAQ government's initiative to take down the crucifix was meant as a sign of good faith to Quebecers who oppose Bill 21 that he is willing to compromise. Trois-Rivières, in Quebec's Mauricie region, has a cross hanging in the council chambers and a crucifix in a side room where the council gathers before public meetings. The council has not taken an official position on moving or removing the cross and crucifix, said city spokesperson Cynthia Simard. Gatineau and Saguenay don't have crucifixes in their city council chambers. A spokesperson for Saguenay said the city doesn't want to wade into the controversial debate. 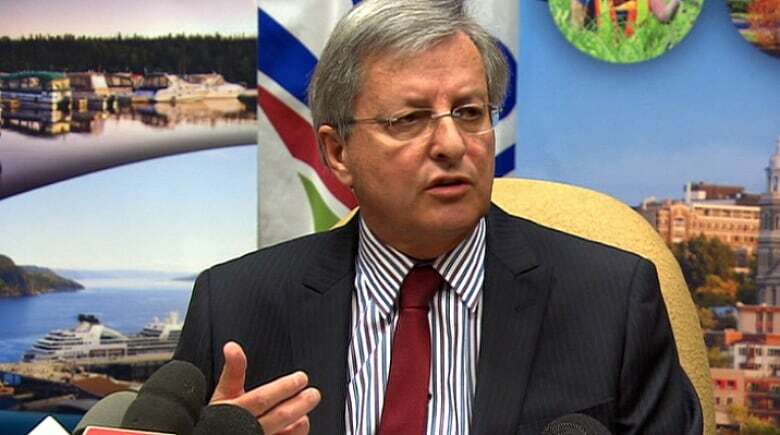 In 2015, a Supreme Court ruling forced former Saguenay Mayor Jean Tremblay to stop reciting a Catholic prayer at the start of city council meetings. At a 2015 news conference, Tremblay invoked the memory of Quebec's religious founders, saying "we are all children of these people." He made reference to Quebec's motto, as well — "Je me souviens," or "I remember." "We have to stand up for our customs, for our traditions," Tremblay said. The legal battle surrounded the prayer and the presence of the Sacred Heart statue, and not a crucifix, a Saguenay spokesperson said.